Amer. Bankers' Assoc. commission presents program for banking reform, but advises against going too far. "The first step in creating a period of prosperity, sounder and more enduring than the last, is to recognize and correct the errors of the past. Although we are thus willing to confess the errors of banking, we do not believe that their correction calls for drastic legislative measures, or for any revolutionary changes in banking practice." Point out that "bank success history under the difficult conditions of the past year was far more impressive than the bank failure history ... nearly 95% of the banks and over 98% of the deposits were not involved in the bank failure episode of 1930." Call for moderate program including bank consolidation, raising service charges to make all functions profitable, having Fed. Reserve exercise its oversight powers more freely, tightening granting of new bank charters, etc. AFL reports improvement in employment "not as rapid as hoped, but gains are held"; estimated 5.5M-6M still unemployed. Dr. H. Luther, Reichsbank pres., gives strongest hint yet that Germany plans to reopen question of reparations payments, calling them "blood flowing from an open wound" and citing Germany's "impoverishment." Letter to the editor: Mr. Woodlock's recent editorial on the surrender of world's "commercial hegemony" to Germany as necessary condition for it to be able to pay reparations is based on the assumption that Germany will pay. With difficult access to foreign capital, 5M unemployed, and severe distress affecting many aspects of its economy, "may I suggest that you ... explore the probability that Germany will not be able to pay?" Russian wheat exports are down sharply this season. Russia's reentry into the wheat export market in Aug. 1930 resulted from extraordinarily large crop of 1.157B bushels; "heavy disappearance of the huge crop is placed to the increased rations of wheat now apportioned to the population"; also, a larger part of the crop than expected has apparently been spoiled due to inadequate storage. Germany cuts wheat duty 25% due to low domestic inventories. Editorial: "Special groups," particularly farm organizations, are out of order in expecting to fill one of the Fed. Reserve board vacancies with someone they approve. There's no reason they should be favored over other industries and unions. The President's choice should be from those best qualified; "The banking system is for the country as a whole and not for any special class." Washington report: Regardless of the merits, antitrust law modification seen unlikely in next session of Congress; repeal is out of the question, and best that can be hoped for is additional study. Congressional sessions immediately before Presidential elections are "notoriously timid." The upcoming one will also be evenly divided between the two major parties, giving Progressives the balance of power; there's little chance they would agree to antitrust modification except to make it stricter. Sen. Borah and Rep. Woods are trading charges on whether Congress or the executive is responsible for high govt. spending. Congress argues that it appropriated slightly less than the total given to it by the Budget Bureau; however, it has passed many laws such as the veterans' bonus over executive objections, which then must be incorporated into budget estimates. Chinese generals supporting Southern secessionists plan to march North to attack govt. forces in Hunan province. Rebels said opposed to proposed adoption of Chinese Constitution creating office of President at People's convention opening Tuesday. Irish Cosgrave govt. passes bill to make 70,000 tenant farmers owners of their land, ending 50-year fight against landlords; issuing $50M land bonds to cover cost. Number of deaths in “miscellaneous flying operations” in second half 1930 was 258 in 1,116 accidents and 56.5M miles flown, vs. 271 in 873 and 63M. Bell Telephone has developed a scrambling system for radio telephone communication across the Atlantic; works by interchanging frequency bands (for example, bass to treble and vice versa) and then reversing the process on the receiving end. The Russian govt. is buying large numbers of commercial fur-bearing rabbits; the British Rabbit Farmers' Assoc. recently shipped 1,100 to Moscow on one day. The Limehouse district of London is home to two families who make their livings waking up workers by pelting their windows with pea shooters. They charge 12 cents a week per home. The advantage over alarm clocks is that the "wakeners" don't leave until their customers show they're fully awake. Organized slot machine gambling system in NY City illegally brings in $20M/year according to testimony at hearing of Appellate division investigation into lower courts. Owners of machines maintain staff of lawyers to protect arrested store keepers. "When the history of the 1929-1931 bear market has been fully written, developments of the past week will command an important place." Stocks suffered heavy selling though the weak, climaxing when US Steel broke almost 10 points Wed. after reporting a drastic decline in Q1 earnings. Prospects for improvement in the steel industry appeared poor, and the burst of liquidation in stocks seemed to reflect widespread discouragement among investors. However, rail operating income in March showed substantial improvement from Feb. due to expense cuts. Stocks in Paris and Berlin declined, but not as badly as NY. Bond market continued to feature strength in highest-grade issues, but readjustment in lower-grade; much of the corporate list was heavily liquidated, though there was a substantial rally in the closing sessions. US govts. reached new 1931 highs; European were mostly steady but S. American fluctuated; Australian weak. Fed. Reserve continued easy money policy, cutting bill buying rates again to record lows with aim of stopping influx of gold and investment funds; rumored rediscount rate cut to 1 1/2% didn't materialize but is still anticipated. Foreign exchange market featured strength in sterling and weakness in francs; France expected to lose gold to England and Germany. Grains were mostly firmer in spite of high winter wheat crop estimate; corn was weak. Cotton declined sharply to new lows. Market wrap: Bears launched further agressive attacks early Saturday, concentrating on US Steel and American Can and forcing further sharp declines. However, weakness didn't spread and a sharp recovery took place in the second hour; Steel ended higher and the market closed with a steady tone. Bond trading quiet, prices irregular; US govts. steady in spite of report of large new long-term bond issue; foreign govts. irregular, Brazilian issues reactionary; corp. highest-grade firm but speculative and convertible highly irregular and mostly lower, though some second-grade rails were firmer. Commodities mixed; wheat up sharply; other grains steady to firm; cotton down substantially to new 15 year lows. Copper buying at a stand still; prices holding at 9 3/8 - 9 1/2 cents. Market observers advise "watchful waiting"; concerned by inability of stocks to extend even technical recoveries. Dow theory students are again closely watching the rails, which have accurately predicted the general market trend in the past 18 months and also predicted end of the 1920-21 bear market. If the rails developed effective support around the April 28 low of 85.51 on the Dow rail average, this would be "highly constructive," though no evidence has been seen yet that the rails have completed their downswing. One prominent wartime bear who denies being active now nevertheless predicts stocks will continue down until their decline off the peak is proportional to the decline in grain prices. Other observers also watch the grain markets for clues on stock movements, but see reason for optimism in recent apparent "bumping along bottom" in grain prices; expect similar pattern in stocks of irregularity but not a continued severe decline. Weakness in steel scrap markets over past week seen as disturbing development. Conditions seen as ripe for merger of Southwestern copper producers though it's unlikely to be completed before year-end; combine would have 500M pound/year capacity, making it world's third largest. American Can is unique among major industrials in holding well above its low of Nov. 1929 throughout 1930-31. While still above that low, it's recently come under pressure after persistent rumors of lower earnings. 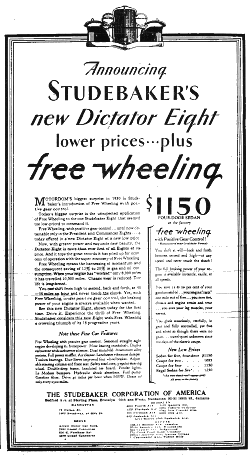 Atchison distinguished itself among rails by showing an increase in March income vs. 1930 in spite of large drop in revenues, due to sharp expense cuts. Noranda has been strong lately in spite of being a copper producer, due to its discovery of a new ore body with good gold content that may be producing within a year; this let it benefit from the current fashion for gold-related stocks. Growth of fixed or unit investment trusts [similar to ETF's] continues strong; total shares are now estimated at $450M-$500M, the vast majority sold in the last 16 months; there are now over 125 large fixed trust organizations vs. only 17 in 1929. Shift from managed trusts is attributed to 1929 crash, which shattered "the illusion that managerial skill was capable of producing tremendous profits with comparatively negligible risk, due to the ability of managers to sense impending danger." Fixed trusts also appeal to dealers since they don't tie up capital or require waiting for new offerings (new units are created and sold as needed). Editorial: If rail executives at their upcoming conference decide to ask for a general increase in rates, this will face the ICC and the public with a difficult issue. Rails have three alternatives - higher rates, cutting expenses through layoffs and wage cuts, or accepting even lower earnings, already at a level negatively affecting millions of rail stock and bond holders. If travellers and shippers believe rail wages are worth preserving, they must be prepared to pay their share of the cost. Editorial by T. Woodlock on British electric utility statistics from the Electricity Commissioners 10th annual report; about 60% of British power is supplied by public plants, but rates to domestic (home) consumers are similar to US rates; "perhaps Governor Pinchot will take note of it." Frazier, Jelke report value of 100 representative stocks on Apr. 30 was $20.338B, down $2.367B in Apr. ; Mar. showed drop of 8.4% and Feb. rise of 11.2%. Fellowes Davis & Co. recommend a list of 23 stocks selling at relative bargain prices; feel April "has exhausted most of the bearish ammunition for the time being ... while business conditions are not promising at the moment, a reversal of opinion and confidence may be close at hand." National City Bank monthly review notes more manufacturers being forced to cut wage rates, but disagrees cuts proportional to lower costs of living are harmful; in broader view they may improve US living standard by increasing business and total wage payments; continuing technical progress will also support living standard. Guaranty Trust Co. defends commodity future markets, says no evidence they made commodity price decline worse in past 2 years; points out declines have been as bad in some commodities that aren't traded on future exchanges. E. Weir, Nat'l Steel chair., says steel demand slowly improving; large buyers confident we're past low point in general business; against wage cuts in steel. Otis & Co. make another crack about the bears, observing that Friday's decline "does not guarantee a profit to the Indians who sold Manhattan ... 300 years ago." April reports from carmakers continue to be favorable; so far, about half of companies reporting are matching their production in Apr. 1930, though conclusions for the industry as a whole can't be drawn until Ford reports information. Hopes are high that the seasonal decline usually starting about now won't take place this year due to low inventories and relatively few new models in June and July. Dun's reports some improvement in business failures in April; total of 2,386 vs. 2,604 in March and 2,198 in Apr. 1930, and lowest total this year; total liabilities of $50.868M, down almost $10M from Mar., up only 3.5% from Apr. 1930, and lowest total since Sept.
NYSE reports brokers' loans at members April 30 were $1.651B, down $257.7M from Mar. 31 and a new low record; total a year earlier was $5.063B. Youngstown district steel output to decline 1% to 42% this week. Fisher's wholesale commodity index continued decline, plunging to another new postwar low of 73.1 vs. 74.0 prev. week and 89.7 a year ago. Farm Board export sales believed to have totaled at least 20M bushels; Board also took delivery of 36M bushels, making total holdings over 200M. Los Angeles Clearing House member banks cut interest rates on savings deposits to 3 1/2% from 4%; other sections of Calif. likely to follow. Total gasoline taxes collected in 1930 were $494.7M, up 14.6% from 1929; gasoline consumption was 14.751M, up 3.5%; average consumption per vehicle 556 gallons vs. 538. Gasoline taxes were imposed in all states, ranging from 2 to 6 cents per gallon. Bank for Int'l Settlements will discuss forming international short-term credit bank to function until world markets are ready to supply extensive long-term credit. In spite of weakness in recent weeks, Berlin stocks are higher so far in 1931, showing a gain of 22% in Q1, though average yield on high-grade stocks is still over 7%, and many first-grade bonds still return 8%-9%. The rally has not been based on business improvement, which has been modest at best, but possibly on hopes of an influx of new capital into Germany in the near future, aided by the US or a European coalition. French trade deficit in Feb. was 1.308B francs vs. 778M in 1930, and highest since Jan. 1929. Chile national debt rose $328.4M in 1930, to $2.941B. Textile World reports decline in cotton cloth prices is causing widespread apprehension. Lancashire (England) cotton industry had one of its worst years in 1930, with many companies liquidating; yarn exports were 136.7M pounds, down 18% from 1929 and 40% from the 1909-1913 average; cloth exports were 2.490B yards, down 34% and 70%. A govt. report last July outlined a reconstruction plan involving cutting costs through mergers and technical improvements, and cooperative marketing. Progress on the program has been limited; govt. has now asked an industry committee to propose a reorganization. NY City Transit Commission reports 387.2M trips into and out of city on rail and ferry lines during 1930 vs. 400.2M in 1929 and 362.3M in 1928. Of the total, 307.7M were commuters. Trunk line rails had 265.8M trips, private ferries 41.4M, Hudson & Manhattan lines 103.9M. Holland Tunnel used by 12.1M vehicles. Canada Dry Ginger Ale reports "tremendous response" to intensified selling and advertising campaign; sales in April were over three times best previous month in company history; "response is more than a tribute to Canada Dry's plans ... It undoubtedly indicates that the public at large is beginning to spend again." Net income of 10 tobacco firms rose 13.5% in 1930, bettering the gain of 10% in 1929. Gains were unevenly distributed, with cigarette companies showing the greatest increase while cigar companies bore the brunt of the depression. Companies reporting decent earnings: American I.G. Chemical, National Fuel Gas. As since the Middle Ages, spring is the season in Paris for the street fairs, "which have raised their gaudy curtains in every quarter of the city." Early tourists, arriving in surprising numbers, saw the official opening of the fair season in a parade of over 100 former beauty queens escorted by firemen in brass helmets bearing torches and a great colonial band. The season lasts until the "grand finale" on Bastille Day (July 14). Among the choices is the fair aux jambons (Ham Fair); this takes place in the Place de la Bastille, which once ran red with blood, but now teems with "picturesque life," varied and colorful peasant costumes, and a great variety of hams and sausages; some of the latter seem to be of equine origin. Another is the Iron Fair of lower-end antiques, at which "the sub-stratum of Paris" rubs elbows with "the amateur antiquarians who abound in Europe, generally Anglo-Saxon woman of a class leisured by divorce." Also ongoing or about to start are dog and cat shows, and, in the Place de la Nation on the very spot where heads once fell into a basket, the Spice Fair offering ginger bread to the children of Paris. Interesting recap of musical theatre history. Made-in-the-US musical comedy has long been mainstay of Broadway, but it wasn't always so. In prewar days, "made on the Continent" was a desirable label for Broadway musicals, giving greater cachet than US productions. These finally came into their own during the War, aided by the prolific Victor Herbert and the jazz band; stagecraft also improved, and the "young and lithe chorus girl ... succeeded the buxom beauties of the pre-war theatre." 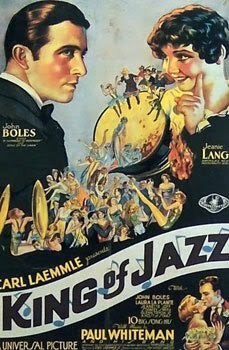 Some US musicals had good success in Europe, and jazz in particular swept the Continent, spelling "youth and life" for a war-weary people. This, however, generated strong resentment from native musicians unable to "get the 'swing'"; of late, their "vociferous agitation" has almost completely removed US musicians from French theatres and cabarets; visitors will note "the jazz band has been practically eliminated"; the old Viennese operettas and French opera bouffe have returned, along with more sedate dance music, "more tuneful than jazz, prettier and certainly less noisy, but ... also less virile." The Secret Six - an MGM film., at the Capitol. "Again proves that gangland provides sure-fire movie plot material." Title refers to group of businessmen who band together to rid their city of gang rule. Wallace Beery stars as gang leader, providing some comic relief in "generally gruesome story." He's ably supported by Clark Gable as reporter who cooperates with the secret tribunal, and John Miljan as rival gang leader who, like previous MGM gang leaders, also plays piano. Teacher - When is the best time to pick apples? Little Johnny - When the dog isn't around. "'I think she's as pretty as she can be.' 'Most girls are.'" "First Sailor - What did you do with your bonus? Second ... - Well I spent 100 shooting crap, 50 in a poker game, 50 on likker, 25 on taxi fare, and 75 on a girl. First - But that only makes 300. What did you do with the other 200? Second - Oh, I don't know, I must have spent that foolishly." Horse sausage? Well there was a depression on wasn't there.